There are a number of ways to get famous and/or make a little money. You can try to write a book or star in a movie. If you can sing or dance, you can star in a music video. Sometimes, people get famous just from being in the right (or wrong) place at the right time. In 2017, two Instagram accounts were created by Mediakix, a marketing agency with a number of high-profile clients, including Hallmark, Nordstrom, and HauteLook. Both accounts are, for lack of a better word, fake. However, in the spring and summer of 2017, they scored several brand endorsement deals worth 500 dollars. 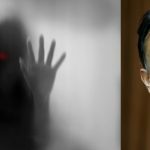 Mediakix did what they did to prove a point, and their point seemed to be that anyone at all—with the right know-how and a bit of nerve—can basically “fake it” on social media, thereby scoring lucrative contracts with reputable brands. The two phony Instagram accounts, between them, had 80,000 followers. One of the accounts is that of a (pretend) young woman named Alexa Rae, who went by calibeachgirl310. Alexa was “portrayed” by a young female model, and the persona created was allegedly all about “lifestyle” and “fashion”. The content on the account was nothing more than a photo shoot that took the agency all of one day to generate. The other account belonged to Amanda Smith, who was also fictional. Known as wanderingggirl, that account was nothing more than stock photos—free ones, at that—of various places around the world and blonde women who were facing away from the camera at all times. Again, these profiles fooled a lot of people; the Instagram system was indeed gamed. If you can buy likes and comments, you too can become a social media star! If you’re over the age of 30, you likely spend a lot of time wishing you looked younger; if you have money and are remotely vain, you probably spend a lot of money desperately trying to look younger. Let’s be honest here: if you want to be a social media star, you should probably be under 25. 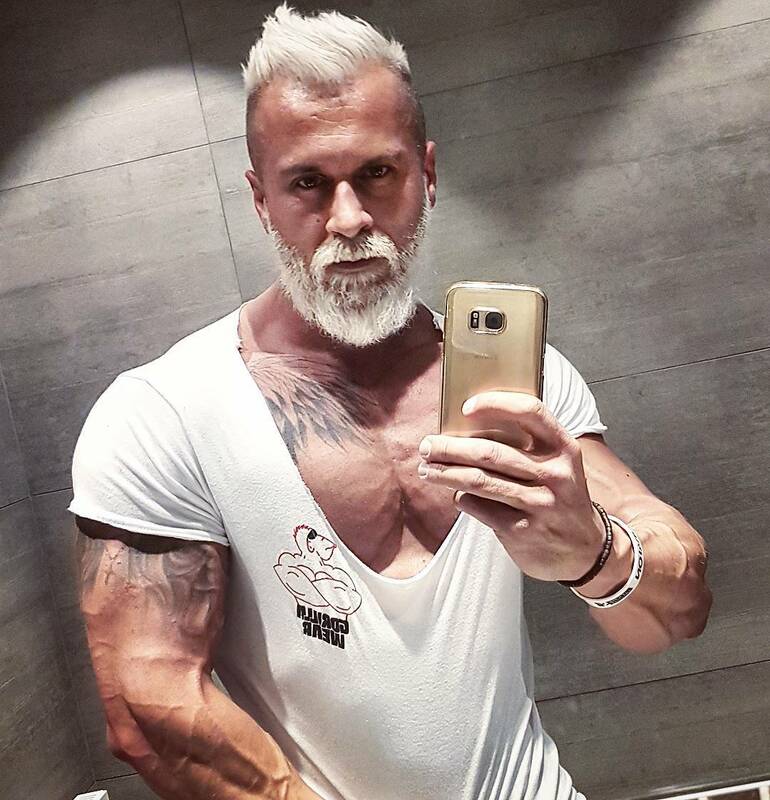 The “Polish Viking”, however, became a star on Instagram by making himself look at least 10 years older than he is. His real name is Pawel Ladziak, and he’s 35 and from Poland. He’s sort of a fanatic about fitness, and he therefore has a very good body. But a good body won’t necessarily make you a star! To set himself apart from all of the other male fitness models, Ladziak makes himself look older than he is by dying his hair as well as beard white. He already had “salt and pepper” hair, having started to go gray years ago. 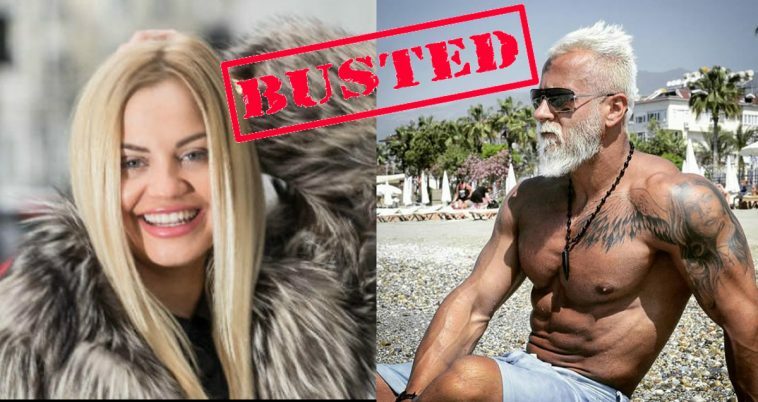 Although he had been active on social media sites for quite a while, it wasn’t until Ladziak started posting pictures of himself with the totally white hair and beard that people began to notice “The Polish Viking”. People were curious about the elderly man with the fantastic physique, and he now has over 300,000 followers. Travel blogging can actually be a lucrative business, with the top bloggers earning at least $200 a post. They’re becoming increasingly influential in the billion-dollar travel and hospitality industry. 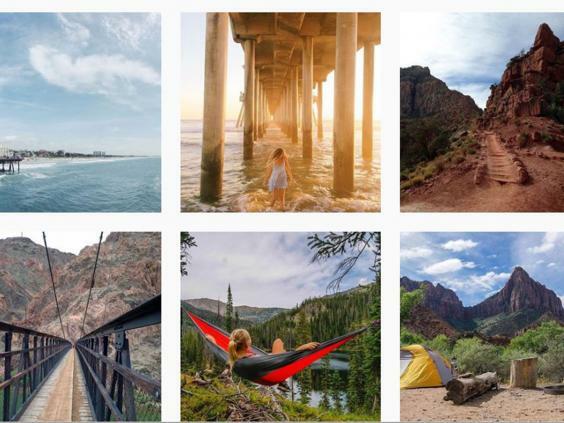 To be influential and earn money, though, you should probably not only go to the places you claim to be visiting, but also post unaltered pictures of your travels. 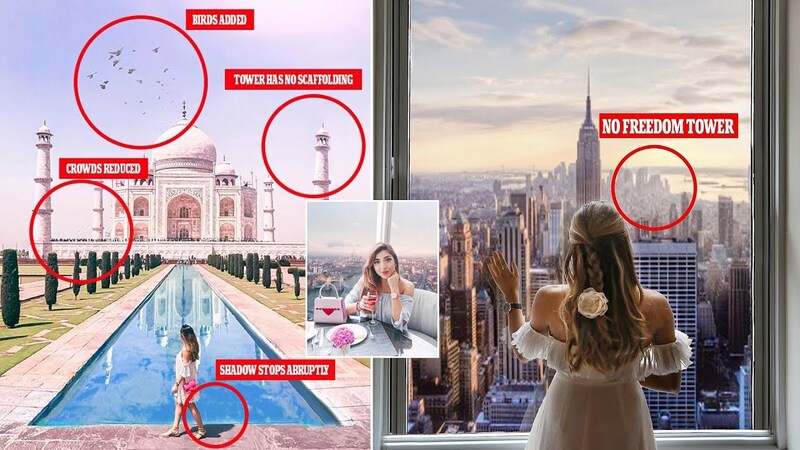 In case you haven’t heard, prolific travel blogger Amelia Liana was called out over the summer of 2017 for posting doctored photos of herself all over the world on her Instagram feed. Long story short, many of the images posted my Liana clearly weren’t unaltered. For example, she posted a picture of herself on top of the Rockefeller Center in New York City on May 25th of 2017. However, the Freedom Tower—then four-years old—was missing from the skyline. A picture of herself at the Taj Mahal in the Indian city of Agra was missing not only shadows on water but also—more noticeably—the massive number of people who can usually be found at the massive marble mausoleum. There was also missing scaffolding at one side of the structure. Notably, Liana’s Instagram account has almost 450,000 followers. She’s popular, certainly, but that doesn’t stop people from calling her out on her deceptive posts. People have commented on the fact she’s Photoshopped birds into her pictures, for example. There’s also the case of her “inserting” a sunset into a plane window. At one point, she even Photoshopped her bed into a scenic view of London. Bottom line, she’s been accused of “straight up lying” to her followers. Liana claims that she considers her loyal followers her friends and would never cheat on them by lying and claiming to be in a location she was not in; really, there’s no evidence she wasn’t in New York or London or at the Taj Mahal; there’s merely evidence that she doctored certain images to make them look far better than they would have otherwise been. Many of the images, in fact, are likely unaltered. Still, Liana got “famous” for her photography, and she hasn’t been entirely honest as a blogger! Rich Kids of Instagram is a British reality television program about rich kids who spend their parents’ hard-earned (or inherited) money on nonsense like private jets, expensive clothes, cars that are likely better than yours, and unnecessary plastic surgeries. For whatever reason, they also seem to enjoy bottles of water that cost hundreds of dollars and use champagne to water their plants. The rich are strange people! Anyway, it is all well and good to watch rich people waste money, completely ignoring the fact that hundreds of millions of people are going to bed hungry every night. After all, if rich people don’t buy the $300 dollar bottles of water, who will? Julia Stakhiva, one of the stars of the show, isn’t actually rich though. 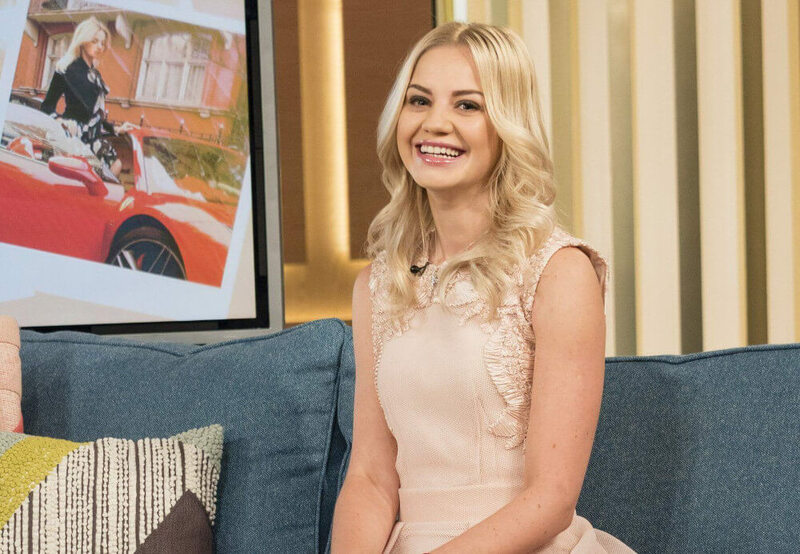 Although the 23-year-old young woman claims to be the daughter of a billionaire, she actually fabricated her entire lifestyle and is merely renting a room in London. It should be easy to feel at least kind of bad for Stakhiva; she obviously had a goal of sorts in mind when faking being wealthy, although probably not a totally altruistic and healthy one. It definitely isn’t easy to feel bad for her, though, because she says things about being “too rich to work”. She also, according to her, didn’t think she was special for a while, but then she realized people were looking at her because of her “beautiful clothes and shoes”. Even if she was indeed dirt poor and totally faking her entire life when she said those things, she’s still not the most sympathetic of characters. Stakhiva had to make her Instagram account private after it came out she’s been lying to the world about who she is. Louise Delage seemed to have a great life. Over the course of several weeks, she posted several pictures a day to her Instagram account, and she had tens of thousands of Instagram followers. Turns out, though, that Delage didn’t actually exist. First appearing on Instagram in 2016, The Parisian was merely the creation of an advertising agency. So why was the 25-year-old woman “created” by the agency? If you look at the roughly 150 pictures posted, Delage was almost always holding an alcoholic beverage. Delage was fabricated by a Paris-based agency called BETC, and the campaign was called “Like My Addiction”. Basically, the campaign existed to raise awareness of alcoholism. The campaign was created with the help of a production company for Addict Aide. According to Addict Aide, one out of every five deaths a year is the result of addiction. Addict Aide offers resources for people concerned about their own alcohol consumption as well as for people worried about loved ones battling alcohol and/or drug abuse. Essentially, the Instagram account was designed to portray the sort of person any one of us might meet on any given day who we might not easily identify as an addict. 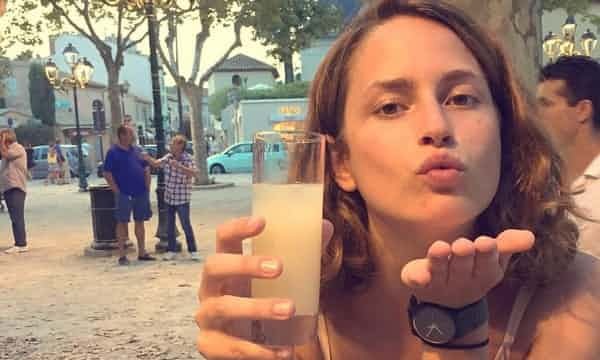 The agency tried to be subtle about what they were doing, making Delage seem like a well-rounded person with a number of interests that weren’t related to alcohol. One person involved in the campaign fully admits that “Louise” could have done better in regard to making people take notice of her unfortunate behavior, but feels that most people recognized that “she” was really an unhappy person who had a very unhealthy relationship with alcohol.